Autobahn werke is your dealership alternative for European Auto Repair. 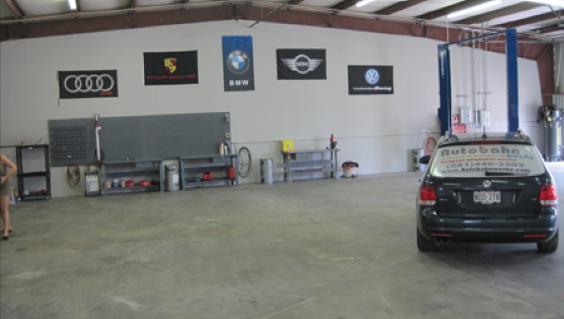 We are a family owned independent European auto service, specializing in BMW, Mercedes, Porsche, Jaguar, Audi, Volkswagen, Volvo and Mini. Combining newest technologies, state of the art equipment with more than 20 years of experience is a sure guaranteed for success. We pride ourselves on honest service with quality you can trust. From simple oil changes to complex repairs such as engine rebuilding, flood recovery or electrical troubleshooting we're the only name you need to know to get the most from your vehicle. We also provide shuttle service for your convenience. Dave was born and raised in the Czech Republic, his curiosity got the better of him and he moved to the States. He was already playing with cars since his early teens, repairing and mudracing his car. His 15 years experience as a European mechanic began in California and continued to Texas, due to the constant move of his military wife. Texas made a great impression on Dave and his family that they have decided to make Texas a permanent home and to provide quality and honest service to the community by creating Autobahn Werke. Tom was born and raised in Germany and moved to Pennsylvania with his family in 1994. Joining the Army after high school graduation brought him to Texas where he decided to make his roots. 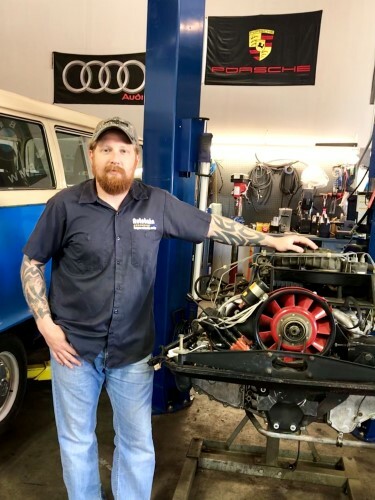 Tom found an interest working on vehicles with the purchase of his first truck, wanting to take a hands-on approach in maintaining his vehicle. He went to school to become a heavy equipment diesel mechanic and was able to find work in the Petrochemical industry as a hands-on Fleet Manager. Being mechanically inclined and with an aptitude towards diagnostics, it was an easy transition for him into the European automotive market. 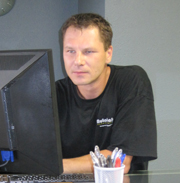 Tom started work with Autobahn Werke in 2012 and has been the Lead Technician for the past 5 years. A. Preventive Maintenance / Factory maintenance programs • We will keep you prepared for road trips with no hassle of unexpected problems • If maintenance is kept up, your factory warranty stays in tact. • Preventive maintenance means our technicians will point out problem areas on your vehicle to prevent future costly repairs. Every car has to be maintained and have a regular check up to assure its full potential and to avoid any unnecessary and inconvenient issues that can be avoided by preventive maintenance and keeping to the vehicles scheduled maintenance. B. Flood, electrical and theft recovery We specialize in recovery, such as flood, electrical and theft damage. We use factory testers to pin point problems. 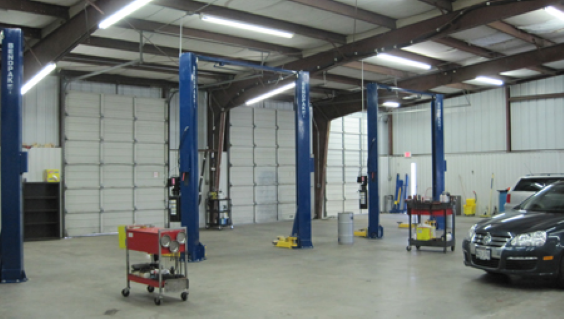 Our goal is to bring your vehicle to span event state. We work with all insurance agencies. C. Pre-purchase evaluation Pre buy inspections are expertise based on many years of our knowledge and experience. We will inspect every detail of your vehicle and are able to tell you if the vehicle was in an accident or any other body damages it might have from the interior to the exterior. 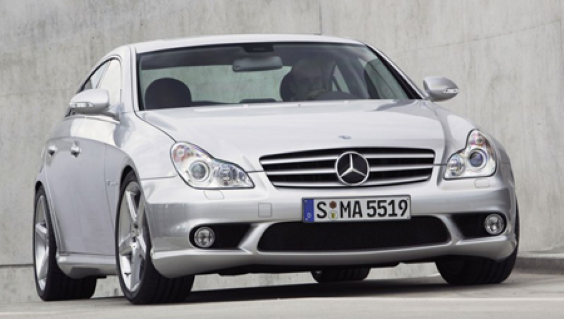 Pre-state Inspection – Our guarantee to you is that your car will be 100% ready to pass. D. General Repair/Diagnostics/Troubleshooting: Including: • Air-Conditioning • Brake Service • Power train repair • Coolant System • Clutches • Diagnosis • Trouble Shooting • Diesel engines • Drivelines • Electrical • Engine Overhauls • Suspensions • Steering • Vacuum Leaks • Timing Chains • Timing Belts • Engine Performance • Upgrades • Restorations We offer 12 months or 12000 miles warranty on any parts, we use all factory or better parts. Our labor is backed up with 20 years of experience, state of the art computer factory systems, which will help us correctly identify any issues your vehicle might have. 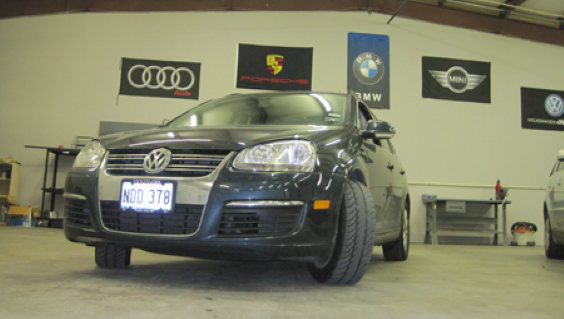 Autobahn Werke is now offering REVO tuning for with 5 hours free trail test drive for most turbo charged VW and Audis. Revo Technik Performance Software shows the potential in performance for any Volkswagen; Audi, and Porsche, improving power, torque, drivability and responsiveness. Revo Technik engine performance software is designed to enhance your vehicle and bring out its true performance potential. Motor companies have strict requirements that have to be met by each and every vehicle they produce; performance and power output is often governed by emissions laws and corporate marketing policy. Add to this the fact that most vehicles have to cope in varying climates over the globe and have to run on varying quality of fuel and you're left with cars that run nowhere near to their true potential. This is where Revo comes in and opens up the untapped performance from your vehicle. For more information please visit www.Revotechnik.com. 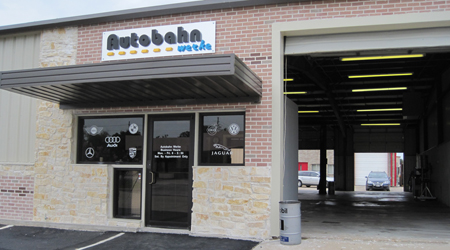 Autobahn Werke has a state of the art facility to keep your European car performing it's best. 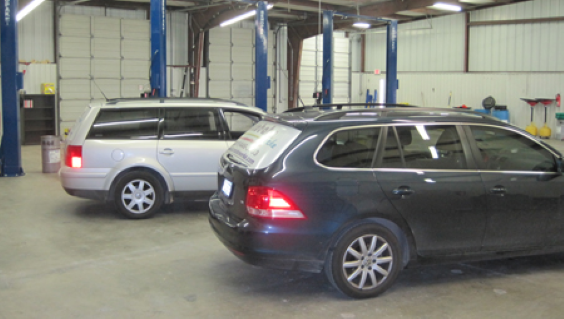 We have the right equipment and training to ensure all work performed is right for your car. FM 1960 E. to Wilson Rd S., and to Treble Dr E.